International students are invited for a PhD scholarship at The University of Queensland. Candidates are welcome before December 19, 2018. The Centre for Children's Burns and Trauma (CCBTR) is one of the leading burns and trauma research groups in Australia, led by Professor Kimble, who is a burn surgeon. The CCBTR is a multidisciplinary team, comprised of researchers who are located in the Children's Health Research Centre and in the Pegg Leditschke Children's Burns Centre at the Lady Cilento Children's Hospital – the largest paediatric Burns Centre in Australasia. The effectiveness of medical needling and ablative, fractional CO2 laser treatment for children with burn scars is not yet well established. These novel interventions have the potential to improve the cosmetic and functional outcomes for children with burn scars but need to be tested rigorously in children. The successful candidate will be involved in conducting a randomised controlled trial to test the effectiveness of these interventions. This trial will examine scar outcomes that are important to patients including health-related quality of life, and sensory responses; in addition to scar thickness measured using ultrasound. An important component of the trial will be the collection of scar biopsies which will be used to determine whether scar histology and scar markers predict the severity of scars. The successful applicant will work with world class researchers from The University of Queensland as well as with clinical and laboratory staff within the Pegg Leditschke Children's Burns Centre at Lady Cilento Children's Hospital, where the data collection will be conducted. We are seeking a dynamic, intelligent, highly motivated PhD candidate who preferably has completed their basic qualification in occupational therapy, physiotherapy, medicine or science and has experience working in their area of expertise. Experience working with children, and/or research experience is highly desirable, but not essential. The applicant should have the ability to enroll in a PhD full-time. The successful applicant will be required to obtain a blue card to work with children. Applicants must be eligible to enrol in a PhD by mid-2019 with The University of Queensland. 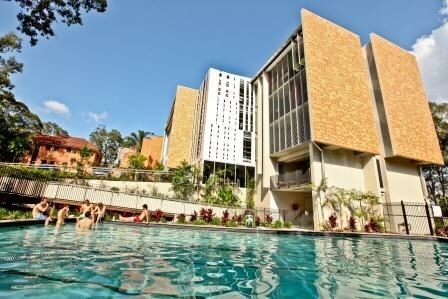 For a complete list of the University of Queensland's minimum entry requirements please refer to: . Successful applicants will demonstrate a strong desire to subsequently develop a successful and highly-productive research or clinical career in children's health research. The successful applicant will be expected to be eligible for and to apply for an internally or externally funded scholarship. For queries please contact Dr Zephanie Tyack z.tyack@uq.edu.au. If you are interested in applying please forward a copy of your academic CV and a cover letter to the email address above.